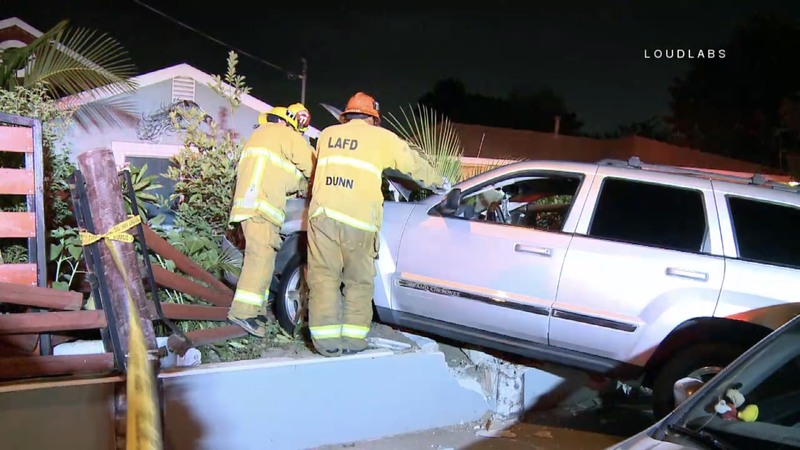 On 6-21-18 at approximately 2322, LAFD and LAPD responded to reports of a traffic collision. Arriving units found a silver SUV partially in the front yard of a residence. Nobody was injured in the crash. Witnesses who refused to speak on camera stated that the crash may have been caused by street racing, although this has not been confirmed. LAPD Valley Traffic is handling the investigation.